Clela is a singer, instrumentalist and songwriter with a unique blend of folk and jazz influences that create the perfect vehicle for her intimate and dynamic vocal delivery. In 2014, Clela released her fourth indie album, More Love and Happiness, produced by Juno award winner Alec Fraser. 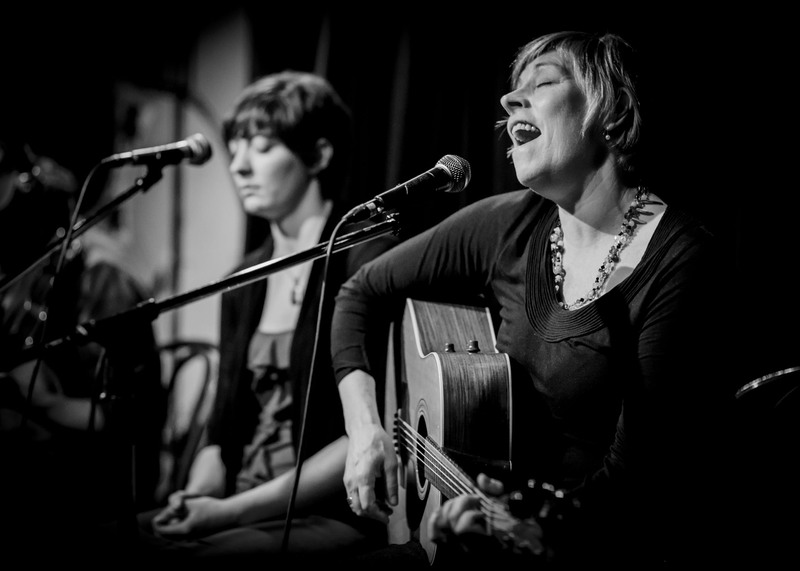 Clela and Jocelyn offer up original songs that highlight their shared artistry, stunning harmonies and beautiful vocal improvisation. Clela`s harmonica piece Lace Curtains was awarded Best Instrumental, honourable mention in Songs from The Heart. A classic late bloomer, Clela produced her first of four independent albums at the age of 43. As an artist, she is inspired by the beauty and power of the natural world, particularly the geography of her childhood home in the Thousand Islands region of the St Lawrence River.In 2014, Clela released her album, More Love and Happiness, produced by Juno Award winner Alec Fraser, it features the stunning vocal harmonies of her daughter Jocelyn Barth. Clela performs regularly in Toronto.